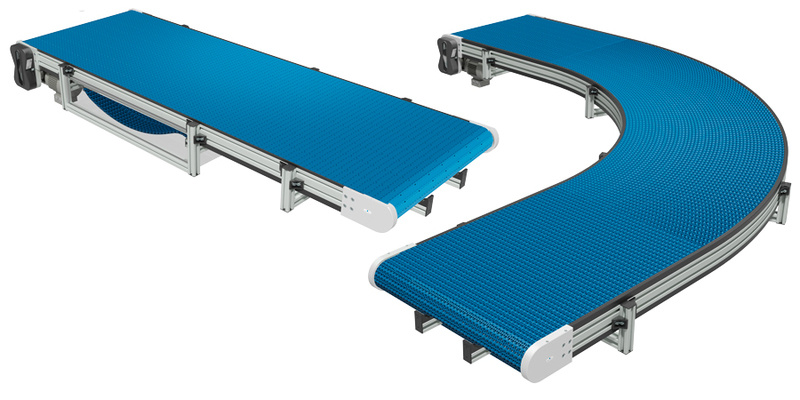 Robotunits has developed a unique service-friendly Modular Belt Conveyor belt, for use in harsh conditions, transport of cut parts and for heavy loads. With this technology extremely flexible conveyor lines can be created, that are wider, longer and with the proper selection of belt. Straight, curved and gradients can be combined to user-defined sizes. For customers, this means not only is there high flexibility but also large energy-saving potential. This is also reinforced by the Robotunits developed reverse-drive, due to the reduced engine performance that is required. Other important advantages are the substantially low service costs (no belt retension), very simple replacement of the module belt (such as individual links) and optimal accident prevention. In addition, parts can also be removed from the sides. Therefore a very simple and inexpensive buffering is possible. Robotunits offers a wide range of structures (driver, griptop, bridge, cross web), side guides as well as a multitude of coatings. Essential in the development was Robotunits thinking of "more with less", with up to four new parts being implemented in the modular band, as standard parts of the modular automation system. 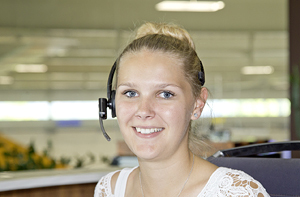 For customers, this means extremely short delivery times and an optimal price/performance ratio.